IRC Global Executive Search Partners is a global professional alliance of retained executive search firms united in their commitment to providing the highest possible standards in management recruitment services. Comprised of owner-operated firms, our Members have a personal stake in the outcome of each and every assignment, local and global, maintaining strict standards, processes and systematic business practices to ensure the same quality of search services are delivered seamlessly – worldwide. The purpose of IRC Global Executive Search Partners is to harmonize recruitment processes internationally in order to provide unsurpassed quality management in search and selection activities. With offices in more than 80 cities, our professionals bring a collective expertise spanning every conceivable industry and discipline. THE IRC GLOBAL EXECUTIVE SEARCH PARTNERS ADVANTAGE IRC Global Executive Search Partners’ alliance embodies the best of both worlds – being globally connected and locally committed. We invite you to inquire as to how to put it to work for you on your critical hiring assignments. is a boutique executive search firm specialized in Talent Management including Executive Search, Coaching for Leadership Development and Outplacement. Our mission is to build partnerships for the long-term success of our clients providing outstanding attention, accessibility, and advice. We pride ourselves in being a valuable partner in executive search, professional placements, as well as in assisting companies to implement top talent retention strategies. We believe that each assignment is critical, each client is valuable, and each candidate is unique. As a result, we are passionate client advocates, committed to helping both our clients and candidates achieve success. We have access to real Value! We know where to search to find Excellence! their transition initiatives in line with their Values! Our executive search practice focuses on senior executive, C-Level as well as middle management searches, with a particular emphasis on CEO search engagements. We specialize in the Pharmaceutical, Retail and Fast Moving Consumer Goods sectors and we offer a unique talent management service, as we are able to continuously map and monitor talent progress in leading positions across the industry. We deliver tangible results and a diverse shortlist of talents from the initial executive search strategy formulation, through to successful appointment. In addition we have a strong business network and rich industry expertise delivered through sector specific practices. As a result, we have built enviably strong relationships all around, including a vast network of diverse, highly qualified candidates. In the end, when we make a recommendation, it’s based on appropriate criteria and fits with your organization and culture seamlessly. The growth potential of organizations depends on their ability to have the right people, in the right place at the right time. At IRC Greece (MEIHUNT, Corporate Talent Management) we focus on assisting our clients not only find the best people but also develop their skills and strengths to a maximum level. Specifically, we offer a unique service which ensures that clients hire best people to perform excellent jobs, but at the same time they also undertake the right initiatives to make their talented recruits want to stay and grow with them. We work closely with our clients to create high impact, personalized and cost effective outplacement support for their employees, with programs to suit all levels and functions within the organization. As large corporations restructure to increase flexibility and are required to manage different kind of challenges, interim management is an effective alternative to employment of ‘permanent' managers. Interim Management allows organizations to benefit from experienced executives for a specified period making it possible for them to execute change plans, restructure the business, turn-around underperforming tasks or manage and support a significant project. It is recognized as one of the most flexible as well as effective resourcing options for instant accessibility to leading skills and a powerful alternative to standard resourcing. The interim executive is most valuable in managing times of major change and ensuring that key projects are handled with success. At IRC Greece (MEIHUNT, Corporate Talent Management) we specialize in identifying the most appropriate individuals who will handle effectively the client’s most urgent needs. Katerina focuses on Executive Search st senior levels especially in FMCG, Pharma and Retail industries. Before establishing her own firm, she was a Partner of Cornerstone International Group. 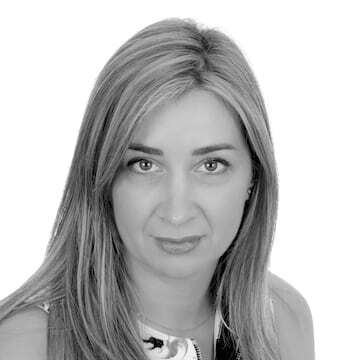 She brings solid corporate experience in HR management from multinational organisations such as The Coca-Cola Company, where she worked for almost 6 years in HR Regional and Marketing Manager roles across Greece, Cyprus and Malta. Prior to that, she worked for British Petroleum as HR Advisor. She holds an MBA from Cardiff University of Wales, UK, a BSc in Statistics from Piraeus University of Economics and Business & a Graduate Certification on Disruptive Strategy from Harvard Business School. Katerina is a former professional volleyball player and was also a member of the National Volleyball Team of Greece. Dionysia is a young, pleasant and communicative professional, who joined the IRC Greece / MEIHUNT in 2018 and who has gained valuable experience in customer service and people management, not only through her studies but also during her employment as Flight Attendant in Aegean Airlines. Dionysia will mainly focus on FMCG, Telecoms and Pharmaceutical Industries. She holds a degree in International & European Studies from the University of Piraeus and she is fluent in English. 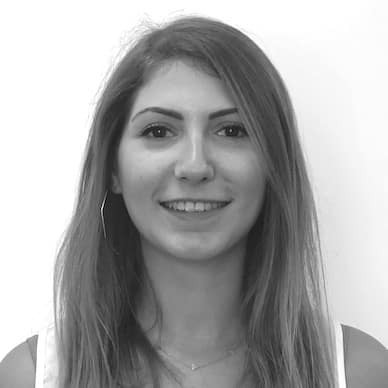 Sofia-Afroditi has joined the IRC Greece / MEIHUNT team in January 2019, as a Senior PR & HR Consultant. She is an experienced professional skilled in Communication, Public Relations, HR and Strategy with proven ability of accessing and identifying corporate talents. Before entering IRC Greece/ MEIHUNT, she was Communication & PR Manager of Ethos Media SA, PR Specialist of an EU agreement related to entrepreneurship at the Institute for Youth of the Ministry of Education, PR & HR Manager at the National Youth Council and PR Strategist at the Political Communications agency Stratego S.A. Sofia-Afroditi will focus her expertise in Communications & Public Relations and the banking and oil energy industries of the Company. She holds a Bachelor’ s Degree in Communication & Mass Media from the National & Kapodistrian University of Athens (ΕΚPΑ) and a Master’s Degree (MA) in Psychology and Media from Panteion University of Social and Political Sciences with Specialization in the Psychology of Communication. She speaks English, German & Spanish fluently. Join our mailing list to be notified of any job openings and special offers. IRC Greece (MEIHUNT) is a purely head-hunting boutique Company open to receive references for talented executives that work in multinational organizations around the globe.